India’s infrastructure is dominated by companies with broken balance sheets. Can the sector revive before the existing players de-leverage? Vikas Khemani (VK): While the leverage of most of the old players have gone from 1.4x to 2.8x (D/E) during the last five years, there are still a few players who haven't been exposed that much. Further, new players have also emerged who do not face such balance sheet issues and are resilient. So the developers with higher leverage will need to and have been making efforts to de-leverage their balance sheet through raising equity capital and monetisation of their assets before they can take up any further large new projects. What is the estimated money that can come into Indian infrastructure over the next five years? Of this what percentage would be debt and equity? VK: Overall, the infrastructure sector needs an investment close to $1 trillion in the next 5-7 years. Of this, renewable, roads and railways combined would need around $400 billion. Typically the infrastructure projects are funded in 70:30 D/E ratio. What kind of structures would foreign investors prefer if they have to invest in Indian infrastructure? Stephen Gallagher (SG): All manners of capital are available at the right rate of return. However, today most infrastructure projects in India are being bid below traditional private equity return thresholds, so most foreign capital is looking to invest at a later stage, de-risked preferably operational infrastructure. These investors are generally seeking a low risk, yield-based equity rate of return. What are the legal and regulatory issues that need to be resolved (other than land acquisition) before fresh foreign investments come to the sector? SG: In general, foreign investment looks to work within the existing legal and regulatory structure rather than drive change. If anything, foreign capital seeks certainty and continuity within the legal and regulatory environment. Change should be driven within the country in a desire to attract more foreign investments. 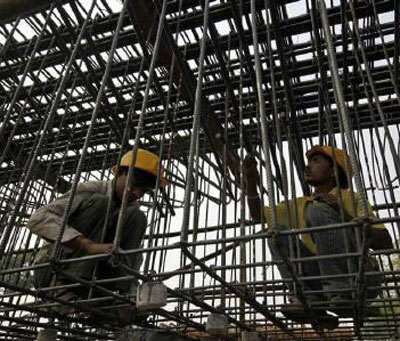 What is the biggest issue that faces Indian infrastructure today? VK: The other big issue which the developers face today has been lack of clarity on the policy framework, counterparty risk, particularly in the power sector and aggressive bidding. The current government seems to be taking steps to address these issues. Developers too would have learnt their lessons from their experience of the last few years. Hopefully this should promote rational bidding in future. How are long-term infrastructure projects funded in other parts of the world that India can replicate? SG: In many parts of the world, infrastructure projects are developed and constructed by strategic companies within the private sector using traditional capital sources available to them based on the strength of their balance sheet. These projects are often identified because they are of strategic importance to the individual company or companies involved in the development. Often times when these assets are built and operational, all or a portion of it is monetised to yield focused infrastructure investors such as pension funds, infrastructure funds or master limited partnerships that seek to hold them in perpetuity. This allows their development capital to be recycled into future projects. The much-touted public-private partnership (PPP) has not worked well. What alternative models do you think can be structured so that private players find the appetite to invest again? VK: Honestly, I don't think the issue has been the public-private partnership model. The real issue has been the lack of proper planning. For example, in the last decade, we've had significant investments in the generation capacity without commensurate investments in transmission and distribution segment. Similarly, projects in the road sector were allotted even when the land acquisition was not in place in most cases. Hence, if the projects are outbid to the private sector after being packaged properly, I believe the PPP model can still be successful. Also, the plug and play concept for infrastructure projects by the current government is a good initiative and will be beneficial for the sector. Indian infra has several local and regional players who bid for large-scale projects but could not cope with slowing growth and high levels of debt. Given that these companies have not attained scale or experience to execute complex projects, would it hinder fresh investments into the sector? Vikas Khemani: I partially agree with you. While that may be a case with a few infrastructure companies, there are also examples of some regional players who have, in fact, been efficient and have executed large projects while maintaining financial discipline. These companies have exhibited their potential before and are expected to capitalise on this further as the investment climate improves. 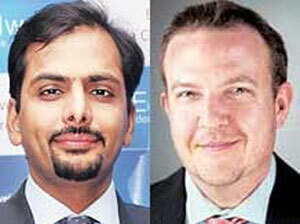 Are Indian developers ready to monetise assets? Vikas Khemani: Due to high leverage and need of recycling, Indian developers do look at selling their assets. However, the number of such deals has been less due to the mismatch in valuations. I feel Indian developers do hope to seek better valuation with improvement in economic climate and reversal in rate cycle. Lenders action on such over-leveraged companies will be a key trigger to see a surge in mergers & acquisitions (M&A) activity.